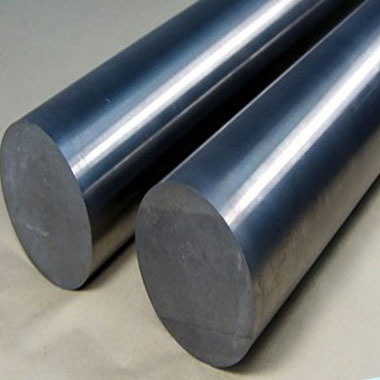 We at Aspirinox Alloys Inc are foremost and most prominent Stainless Steel 347 Bars, Rods & Wires manufacturer, supplier, exporter, based in Mumbai, India. Our offered range of highest quality SS 347 Round Bars comes in different sizes, dimension and specifications and exhibits greater properties such as ductility, weldability, and high-temperature properties. These SS 347 Bars (UNS S34700) available at Aspirinox Alloys is an austenitic stainless steel offering an excellent resistance to intergranular corrosion following exposure to temperatures in the chromium carbide precipitation range from 800 to 1500O F. These Stainless Steel 347 Rods are available in a single random, double random and cut length in India and across worldwide. These 347 Stainless Steel Bars (WNR 1.4449) can be custom designed in adherence to the set industry regulations and standards. With its columbium and tantalum content, is a stabilized stainless steel and provides exceptional intergranular corrosion resistance at high temperatures. We at Aspirinox Alloys offer 347 Stainless Steel Round Bar products in custom-made sizes and shapes including SS 347 Rectangular Bar, SS 347 Square Bars SS 347 Hollow Bar and many more. More than 20 years, we here at Aspirinox Alloys Inc are one of the top provider of Stainless Steel 347 Round Bars at a most attractive price. Call us today to buy Grade 347 Stainless Steel Bar with sizes from 1/4 to 2 Inch and 3mm to 50mm diameter. Specifications for 347 Stainless Steel Bars, Rods & Wires. If any specification is not mentioned here, please use the contact button for quick quote. Contact us or click on the below button to request a latest 347 Stainless Steel Bars, Rods & Wires price list. Aspirinox Alloys INC is dedicated to providing the world-class 347 Stainless Steel Bars, Rods & Wires that cater to all your demands at very competitive rates.